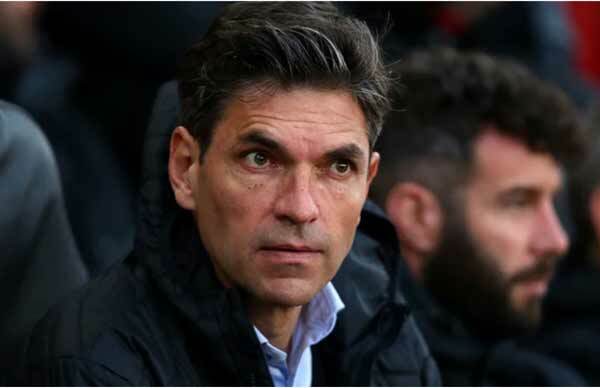 Mauricio Pellegrino has promised to cause problems for his former club Liverpool when he visits Anfield for the first time as Southampton manager, while speaking to Sky Sports. Pellegrino spent time at Anfield as both a player and a coach alongside Rafa Benitez but in the summer of 2010, the pair moved to Inter Milan together, before Pellegrino landed a job as the manager of La Liga side Valencia in 2012. The Former Argentina international has managed in both La Liga and his native country before, ultimately, plying his trade in the Premier League, taking over from Claude Puel at Southampton. His adaption to life in the Premier League has not been smooth sailing thus far as his side has struggled for both points and goals this season – which means that he will be travelling to Anfield in need of a morale-boosting result. "It will be a nice experience for me," Pellegrino said as spoke about his return to Anfield. "I had a really happy time in my career as a player and as a coach at Liverpool. But on Saturday it is a nice opportunity to represent Southampton, and we will try to play well, play a good game and create problems for Liverpool." Former Juventus Midfielder, Mario Lemina will not be featured in the clash as he sustained an ankle injury in training. Although he has made movements towards a speedy recovery, it would be too soon to allow the Gabonese international to play. However, Southampton stood firm and refused the sale of their defensive anchor. While the Dutchman looks to prepare for the game at the weekend, Pellegrino insists that the centreback is solely focussed on the game – per Sky Sports. "Virgil is training well and thinking about our club," Pellegrino stated. "We cannot control the market and all the whispers. We have a lot of players who are important and most of the clubs in the world want a lot of our players. Virgil is one of those, but we have to be focused on our job." Southampton currently sit at 13th on the table, looking for a win, in attempt to climb the table and stay clear of any relegation fears.